Home Economy Analysis/Features How much should you invest in social media? I hope that you will attest to the fact that social media marketing is the biggest marketing opportunity that the world has ever known. Companies post their products/services on Facebook, Twitter, and Instagram among other social platforms, sometimes even without spending a dime and generate huge revenues from it. It is, however, not true to say that social media marketing is entirely free. The truth is that you will sometimes have to invest in an expert social media manager, hire social media influencers to advertise your products, and even sponsor ads as a way of making a social media app make your products more visible online. Now to our main question: How much should you invest in social media? To answer this question comprehensively, we will expound on the five main factors that determine any business’ social media strategy. 1. Your prospective customers: Which social media platforms appeals most to them? Of the many social media platforms, Facebook, Twitter, Instagram, Pinterest, and- by extension- YouTube, are the most viable marketing platforms that any business must leverage for it to survive in today’s highly competitive marketing world. Facebook, in particular, boasts of almost two billion active monthly users who are distributed all over the world, presenting you with a great opportunity of taking your business to the global market. Twitter and Instagram also rank fairly well in terms of their monthly users. As you would expect, the bigger a platform is, the more you will have to spend for you to successfully convince its diverse users to become your clients. According to Adweek, people tend to spend nearly 2 hours a day on social media platforms. Considering this fact, every ambitious owner or marketer would definitely use social media to try and attract its prospective customers. Although every marketing team wishes to market on the most popular social media platforms, however, sometimes you will be forced to settle for the less popular ones if that’s where the biggest chunk of your prospective customers are. Snapchat, for example, is very popular with the millennials but not as popular with mid-aged users. If you are targeting millennials, then Snapchat is the most ideal platform to advertise on. Facebook and Twitter, on the other hand, appeal most to the mid-income earners who are between 35 and 50 years old. Think of YouTube videos and how your clients would love them to be. You, therefore, must understand who your target customers are and which platform they mostly use before budgeting for your social media campaign. 2. How big is your brand online? The rule of thumb here is that the bigger your brand is online, the lesser you will need to invest in your social media campaigns and vice versa. 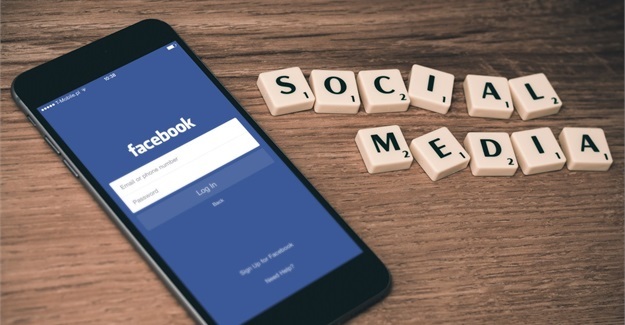 A globally recognised company will attract social media users by simply opening a Facebook page, for example, or posting a few well-crafted tweets on twitter. This is not the case for a small business struggling to carve out a small share of the crowded marketing space. The irony here, however, is that the small businesses don’t have as much revenue to invest in marketing as compared to big companies, yet they are the ones who need to spend more to succeed online. 3. How much revenue do you generate from social media advertising? This is a virtuous cycle-you invest in social media marketing in order to attract new followers who you then have to convince to purchase your products/services, after which you collect revenue and invest it back into social media marketing in order to attract more clients. You shouldn’t mistake Facebook likes or retweets for customers. You need to calculate how much those likes and retweets are earning you in terms of monthly revenue so that you can determine how much you need to invest back in social media. On the other hand, providing an alternative way of viewing the ROI form social media, we can consider the Cisco case study which shows how social media has saved them more than $100,000. Contrary to their traditional method of launching a product, which has been very costly for them, they turned to social media which not only cost them very little compared to their initial traditional investments but also helped them reach a much wider audience. 4. How big is your marketing budget? Social media marketing is just one among many marketing options at your disposal. You, therefore, would be missing the point if you spent all your marketing budget on the social media alone. Financial experts argue that you should use only about 10% to 20% of your annual budget on marketing and of that, only about a quarter should go to social media marketing. 5. How big/expert is the human resource at your disposal? Who runs your social media accounts? If you have the time and expertise to run them on your own, then that will save you a lot of money in the long run. If you have hired an in-house social media marketing team, then your budget will definitely be high. But is there a way of utilizing the services of expert social media managers without necessarily overstretching your budget? Luckily for you, there is. According to Outsource2EU, many companies are looking for outside creative agencies that can manage their brand on social media platforms. They also added that you can always outsource from Europe and hire social media managers who are experienced and technologically equipped to manage your social media accounts. What’s more, you can hire the best talents from Europe at an affordable rate. If your budget allows, it’s wise for you to hire the services of social media influencers who will make your campaign go viral online. That’s one of the surest ways of catching the attention of the social media’s global audience. Because you cannot wish away the massive influence that the social media is currently enjoying in the world of marketing, it’s imperative that you invest everything you can in leveraging that influence.